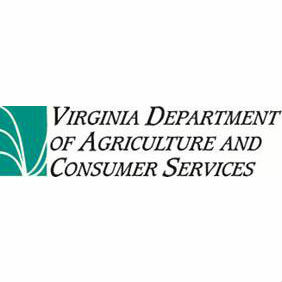 The Virginia Department of Agriculture and Consumer Services has developed a method that can be used by the public to nominate weed species for adding to Virginia’s Noxious Weeds list. A noxious weed is any plant species which is detrimental to crops, surface waters including lakes, desirable plants, livestock, land or other property, or injurious to public health, the environment or the economy, except when in-state production of such plant, is commercially viable or such living plant is commercially propagated in Virginia. For reference, see the Noxious Weeds Law in the Code of Virginia, Section 32.-800. Sandy Adams, VDACS Commissioner, says the agency has developed a science-based assessment tool for the evaluation and consideration of plants to be added to the noxious weeds list. “This tool is available to the public and must be used when weed species are proposed for adding to the list,” she said. The assessment tool, which can be found on VDACS’ Noxious Weeds webpage at vdacs.virginia.gov/plant-industry-services-noxious-weeds.shtml, requires the submission of accurate and legitimate scientific data. Examples of scientific data include geographic distribution, economic impact, environmental impact, citation of scientific references, and more. This scientific data is necessary to effectively evaluate proposed noxious weed species. The current list of noxious weeds can be found in Section 20 of Virginia’s Regulations for the Enforcement of the Noxious Weeds Law (2 VAC 5-317). VDACS established a Noxious Weeds Advisory Committee to evaluate weed species submitted by the public. The Committee will review submitted proposals and recommend to the Board of Agriculture and Consumer Services those weeds that should be listed as noxious. Approval by the Board for adding weeds to the noxious weeds list will follow the Commonwealth’s standard regulatory process.